In the series of our products, we are also engaged in offering a wide range of Multi Color Sapphire Bead to meet the demands of our clients. 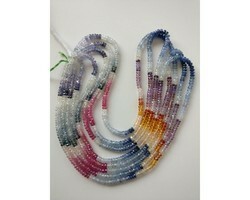 These beads are available in different ranges of alluring colors as per the choice of our customers. New styles and modern appeal is taken into consideration while designing these products. 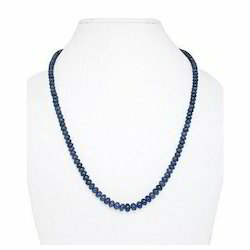 We are prominent providers of the neatly textured Blue Sapphire Beads which has been demanded mainly due to its purity. These are available in different size, designs, and specifications as per the specifications of our valued clients. Owing to our enriched industrial experiences, we are committed to providing a wide variety of excellent quality Bangkok Blue Sapphire Faceted Beads. Driven by a vision to achieve significant growth in this industry, we are providing a premium quality array of Blue Sapphire Beads.